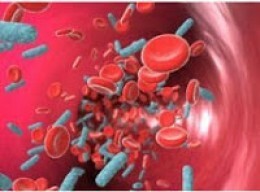 The severe inflammation caused by sepsis may be dampened by mesenchymal stem cells--significantly reducing mortality. Injected cells travel to sites of injury and neutralize an overactive immune system. The immunomodulatory capabilities of stem cells suggest myriad future treatments beyond sepsis. As personalized regenerative medicine advances, autologous stem cells will become an invaluable resource to families and individuals who seek to ensure that they will have access to the best in medical care should the need for it arise. One of the most convenient and affordable sources for recovering and banking your own stem cells is dental stem cells. To learn more about how to bank dental stem cells for use in future therapies and treatments, visit StemSave or call 877-783- 6728 (877-StemSave) today.